The renowned Desert Challenge, held each year in Abu Dhabi, is one of the toughest off-road races in the world, drivers contend with soaring desert heat and challenging terrain. 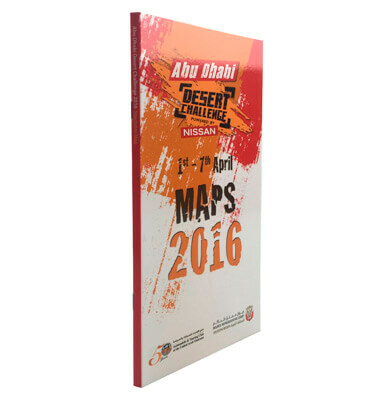 In collaboration with the Automobile & Touring Club of the UAE, Explorer's experienced cartographers and professional designers have produced printed spectators' maps outlining all the different routes and stopping points across the Western Region’s desert for the past six years, including a special edition for its 25th anniversary in 2015, shareable graphics of individual stages for social media, and wall maps for the organisers. Depicting local towns, resorts, dune gradients, varying landscapes and signs in a fold-out map, the programme also features the entrants in various categories, previous winners and other essential information.